Craftsman Creates SRV’s Stunning Axe! Stevie Ray Vaughan is truly and unquestionably one of the greatest guitar players that was ever taken away from us. He was a master at rock and blues. He had a charisma and presence that was AND is unmatched. He is a bonafide legend, pure and simple. That being said, he was gone before he could truly show us what he was really made of. He is one of the legends that was tragically killed all when he was just getting started, but this is information that you already knew. He left behind a legacy like no other, including his iconic guitar. A guitar which is created to a ‘T’, here! 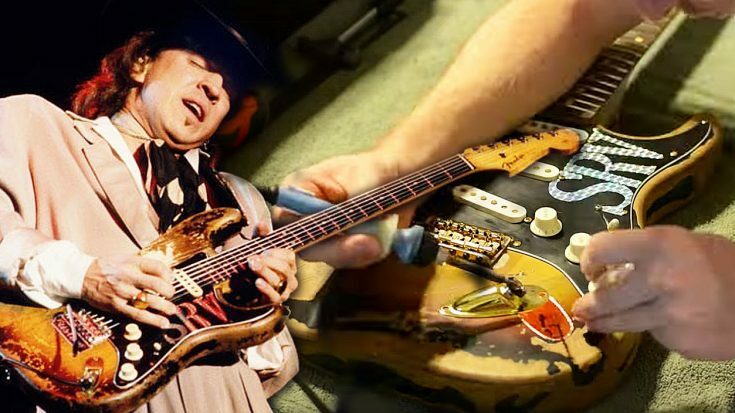 What you’re about to watch is a video in which a craftsman embarks on creating an exact replica of Stevie Ray Vaughan’s guitar. The question is, does he nail it? Well, you’ll just have to see for yourself!